In recent years, there has been an intense debate in Colombia about the role of mining in the national development process. The country is experiencing a boom in mining activity. In a decade the coal mined in the country has almost doubled, from 38,242 million tons in the year 2000 to 74,350 million tons in 2010; in addition, the area of land given titles for mining has soared in recent years. In 2002 there were mining concessions over 1.1 million hectares, while in 2009, concessions had been awarded over 8.4 million hectaresii. This boom has led to the emergence of and an increase in social conflicts linked to the presence of mining companies conducting exploration and development activities in rural areas. Between January 2001 and December 2011, 274 social struggles took place, associated with the extraction of oil, gold and coaliii. These social struggles are occurring within a context of repression and the criminalization of protest. 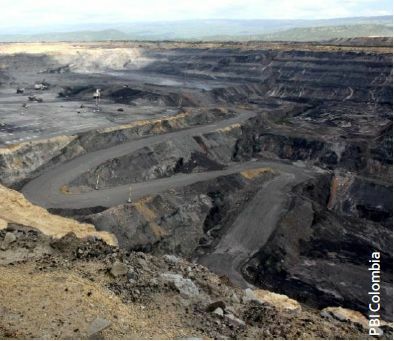 Below, we offer a summary of the multiple links between mining industry activities and human rights violations in Colombia, which demonstrate that mining policies have not led to a reduction in poverty or an improvement in the quality of life of the population in areas surrounding mining activity, and that on the contrary, the environmental and social consequences of such interventions threaten the rights of present and future generations in Colombia.